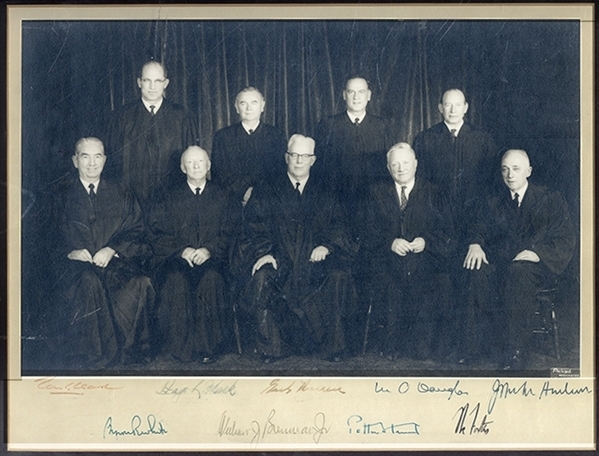 Excellent black and white photograph of the entire Supreme Court from the mid 1960’s, 17”x12”, signed boldly at bottom margin by Chief Justic Earl Warren, Hugo Black, William O. Douglas, Tom C. Clark Byron White, Abe Fortas, William Brennan, John Marshall Harlan and Potter Stewart. Framed. Fine condition.